Which Degrees yield the best salaries? As final year students prepare to enter the workforce, Fresh Student Living compares the difference in salaries across various industries in the UK to reveal the most valuable degrees. Contributor Lee Biggins, Founder and Managing Director – CV-Library. New research by CV-Library analysed more than 5,400 graduate job postings, revealing that the average salary for a university graduate is £24,804. For those wanting to get into Creative Arts like design, music, visual arts and performing, the opportunities are endless, however, salaries will vary. Typically, the starting salary for a Museum Curator is around £18,000 while those interested in digital art like graphic and digital design can expect a higher salary starting at £15,000–£19,000 with the potential to rise up to £27,00 after some years of experience. Salaries for accountancy can vary depending on location, specialisation and size of the company, although graduates can still enjoy a decent starting package of £23,180. If you are really looking to start off with a highly desirable salary, investment bankers have been known to earn up to £45,000 right off the bat. These degrees can open plenty of doors for graduates and some well-paid careers in accountancy or investment banking as well as marketing, HR, retail management and media. A career in retail management could earn you a salary of between £17,000–£23,000, while a career in HR can start you off with a cool £19,000. Digital marketing degree holders can expect a starting salary of between £18,000–£22,000. Your salary will depend on what career path you follow. IT jobs like programming, systems analysis, web design, UX design and more are in high demand and promise good salaries, which can range from £17,000 all the way up to £70,000. Teaching positions are always in high demand in England and Wales. Starting salaries for qualified teachers range from £22,917 to £28,660 for London-based positions. Depending on your speciality, engineering graduates can enjoy salaries that start at £25,000 for civil engineers to £27,696 for chemical engineering. These degrees are quite flexible in terms of job hunting, with possible options being media, teaching and marketing, to name a few. Starting salaries for those in publishing and journalism are around £19,000–£23,000, although unpaid internships are also a reality in this industry. Despite what many think, a law degree is not a quick ticket to a high salary. Law graduates will have to start from the bottom, while the most competitive firms can offer salaries between £22,000 and £45,000. The starting salary for a clinical scientist ranges between £26,250–£35,250, while biomedical scientists can expect anything from £22,000 to £28,500. Of course, a degree in medicine is as prestigious as it can get, although, like law, graduates, you must be prepared to start from the bottom. Unlike law, graduates are able to earn more faster and have access to better benefits. Graduate salaries for those going into adult nursing is around £22,000–£28,500, while junior doctors can earn £26,614 and specialists between £36,461 and £46,208. For animal lovers, veterinary medicine offers an average starting salary of around £27,721. It is recommended to make use of a timeline when applying for any graduate jobs or schemes to avoid things falling through the cracks or missing an important deadline. July before your final year: Start researching what roles and companies would suit you, what you want to do and what you envision your future career to be. August: During this time, you should be thinking about your application – how to apply, what the requirements are, and updating your CV. September: Applications open. Before you apply, chat with a career advisor and get them to thoroughly review your application. October – January: Send your application. Send as many applications to various jobs as possible for the best chance at success. February: Most deadlines have now passed. 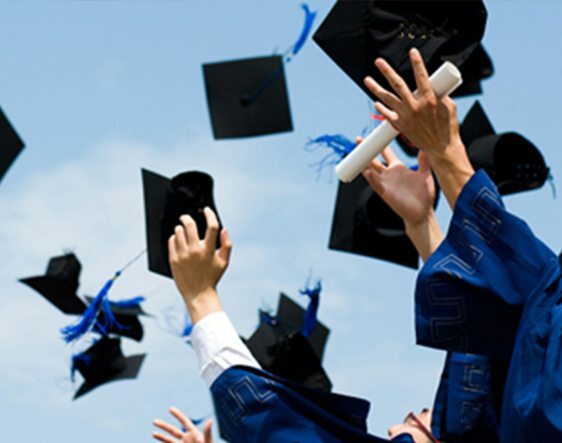 Graduate schemes will begin their recruitment process by filtering through the applicants. March – April: If you have passed the first round, you will be sent assessments, which could be followed by interviews and even an offer. May – June: There is a chance that certain schemes could be re-opened if more jobs become available, giving you a second chance if you have not been accepted in the first round.July: Your application will be reviewed, and you will either be offered the job or not. August – September: If successful, you will begin your graduate scheme. If not, the application process will start again.